The proline-directed serine threonine kinase, Cdk5, is an unusual molecule that belongs to the well-known large family of proteins, cyclin-dependent kinases (Cdks). While it has significant homology with the mammalian Cdk2 and yeast cdc2, unlike the other Cdks, it has little role to play in cell cycle regulation and is activated by non-cyclin proteins, p35 and p39. It phosphorylates a spectrum of proteins, most of them associated with cell morphology and motility. A majority of known substrates of Cdk5 are cytoskeletal elements, signalling molecules or regulatory proteins. It also appears to be an important player in cell–cell communication. Highly conserved, Cdk5 is most abundant in the nervous system and is of special interest to neuroscientists as it appears to be indispensable for normal neural development and function. In normal cells, transcription and activity of Cdk5 is tightly regulated. Present essentially in post-mitotic neurons, its normal activity is obligatory for migration and differentiation of neurons in developing brain. Deregulation of Cdk5 has been implicated in Alzheimer’s disease, amyotrophic lateral sclerosis, Parkinson’s disease, Huntington’s disease and acute neuronal injury. Regulators of Cdk5 activity are considered as potential therapeutic molecules for degenerative diseases. 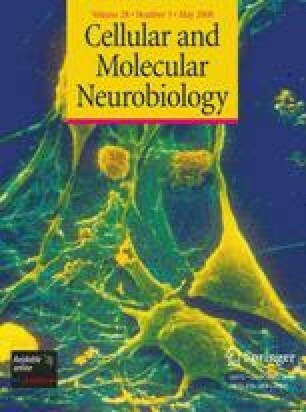 This review focuses on the role of Cdk5 in neural cells as regulator of cytoskeletal elements, axonal guidance, membrane transport, synaptogenesis and cell survival in normal and pathological conditions.